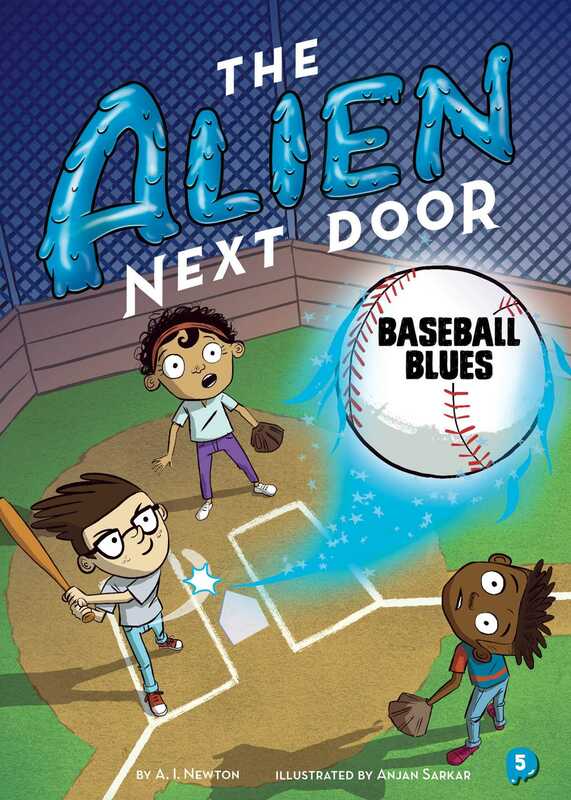 In the fifth book of the Alien Next Door series, Zeke, Harris, and Roxy all try out for the baseball team, but Zeke can't resist using his powers to help him play better than everyone else. It's baseball season, and Zeke, Harris, and Roxy all decide to try out for the team. Zeke doesn't quite know how to play baseball, but his powers allow him to pitch and hit better than anyone else! But Harris thinks that what Zeke is doing is cheating, since none of the other players have his powers, and he's also concerned that someone might discover Zeke's an alien. But Zeke doesn't see a problem with this, causing tension in their friendship. Can Zeke and Harris save their friendship, or will they strike out?